Education is a basic right, but for some children with autism, mainstream school can be a struggle – particularly in the complex teenage years. 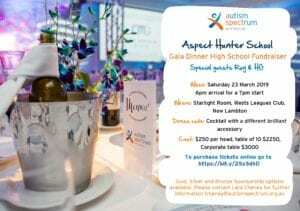 In the Hunter region, families have been crying out for a different approach and the community has responded, building its own, autism-specific high school. The first group of 13 students started this term and it seems they’ve found their tribe.